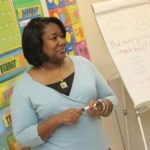 Just like subbing in a math class or taking on a long-term substitute teaching assignment requires a certain mindset and preparation, so, too, does subbing in an English class. Here are four tips that can help you succeed during your next assignment. Showing up early will allow you to thoroughly review the teacher’s lesson plan if they have provided one (or to develop your approach if sub plans aren’t available). You’ll also be able to review the teacher’s information regarding classroom rules and their students’ needs. This sort of preparation will also help you maintain calm and confidence, two important ingredients in a successful sub day! No matter your specific instructional style, it’s important to follow the absent teacher’s instructions and lesson plans. This goes a long way toward maintaining a productive classroom environment and keeping students on track. Provide students with fun and engaging activities and be friendly, but follow the absent teacher’s plans. Although you would ideally always sub for an absent teacher who has left comprehensive and clear sub plans, there are times when this may not be possible. So, consider keeping a bag packed complete with your own classroom management plan and English activities for those instances when you will need to do a bit of improvisation. Grades Pre-K – 3: Sight Word Practice PRE-Primer is a good option for elementary-school students. This lesson introduces and reviews 39 sight words. Students are required to complete several activities such as tracing the word, writing it, and using it in a sentence. You may have to guide pre-K and kindergarten students in writing the word on their own and using it in a sentence. 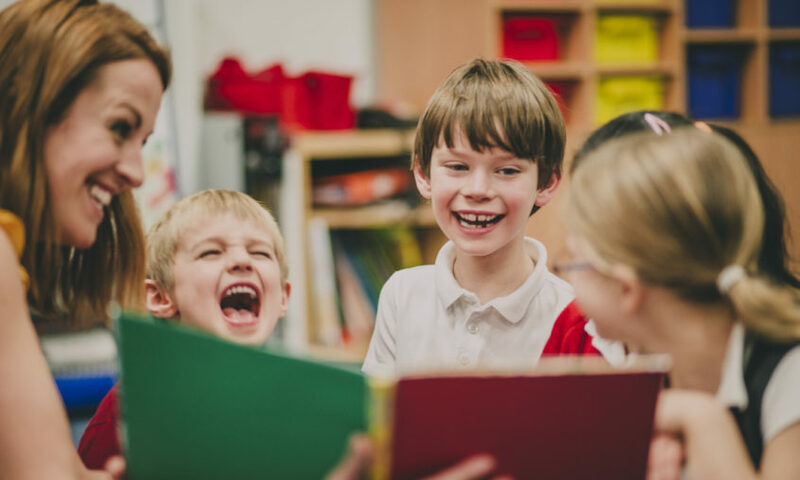 Grades K – 4: Stupendous Story Elements is a packet that includes several activities which guide students in evaluating the story, characters, and solving problems. You can conduct the lesson as a group or allow children to work independently. You’ll need to bring a book to read or choose one from the teacher’s collection. Grades 4 – 5: The Secret Garden: Reading Comprehension and Grammar Suffixes from Education.com are worksheets you can do as a class, with partners, or independently. Grades 4 – 6: Figurative Language Puzzles is an engaging activity that is sure to keep students entertained while reviewing several types of figurative language. Grades 4 – 12: Journal Prompts offers over 100 writing prompts. Students can choose the prompt they want to complete, or you can assign them one. You should determine the level of difficulty according to their grade. For instance, fourth graders should write a paragraph or two with basic sentences, while 10th graders should write several paragraphs that utilize more complex sentences and vocabulary words. Students should also demonstrate deeper thought and analysis as they get older. Grades 9 – 12: I Am Poem for High School Creative Writing guides high-school students in writing an “I am” poem. 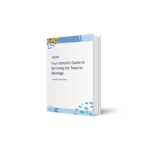 The activity includes a thorough lesson plan, handout, and PowerPoint Presentation. 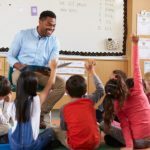 You can retrieve many other free and low-cost English lessons and activities based on the grade and a specific Common Core Standard from Teachers Pay Teachers and Education.com. Every teacher wants to hear how their class did in their absence. Let the teacher know who was exceptionally well-behaved or who you were particularly impressed with, as well as students who may have struggled. Do your best to communicate these observations factually and non-judgmentally — i.e. instead of noting that a student was rude, describe exactly what happened.